Though it is not without its critics, the California bullet train project finally pulled out of the station, in theory anyway, as the governor, state officials, contractors and union leaders gathered in Fresno for the project’s ground-breaking ceremony. The train construction will take more than 15 years to complete at an estimated cost of more than $68 billion. During this time, the building of the train will provide an estimated 66,000 jobs. When done, the train will connect northern and southern California population centers. 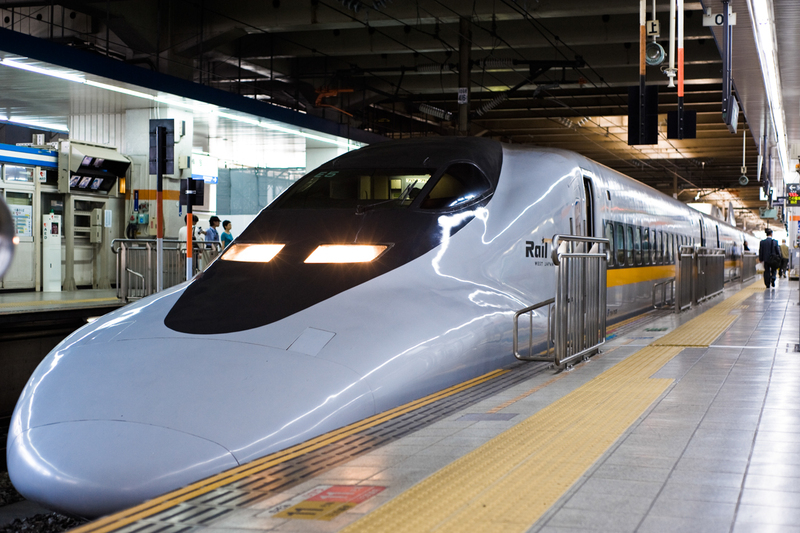 Bullet train at Fukuoka railway station, Japan, East Asia. It is still unknown where much of the funding for the project will come from. The federal government has pledged $3.2 billion, the remaining funding is from various grants and state funds. In Fresno, construction companies have begun tearing down old facilities and structures to make way for the new rail and station construction. Construction factoring companies are making their invoice factoring services available to those in the government contracting, subcontracting or construction businesses. From payroll funding to covering costs of equipment, gear, tools, materials and other supplies, large amounts of capital will be needed to complete the project. The bullet train undertaking looks to be one of the largest construction projects in the nation. Lack of sufficient construction funding will only slow down the already delayed venture. Bid on fast-moving jobs as they open up. Hire workers as they need to in order to complete the job on time and on budget. Purchase or lease equipment or gear as needed to complete the job. Government contract funding will enable contractors and subcontractors to bid on slow-paying but often lucrative government contract jobs they might not otherwise be able to apply for. And because the government is a trustworthy client that always pays its bills, factoring government receivables is a reliable way to obtain needed capital without a credit check.